Complete the tutorial at least once with any hero. Play Jamon 10 times with atleast 100+ score. collect no less and no more than 420 Jamon in a single game. collect 9999+ Jamon in a single game. 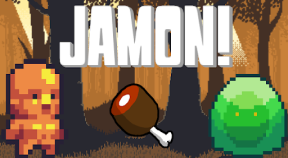 collect no more and no less than 666 Jamon in a single game.